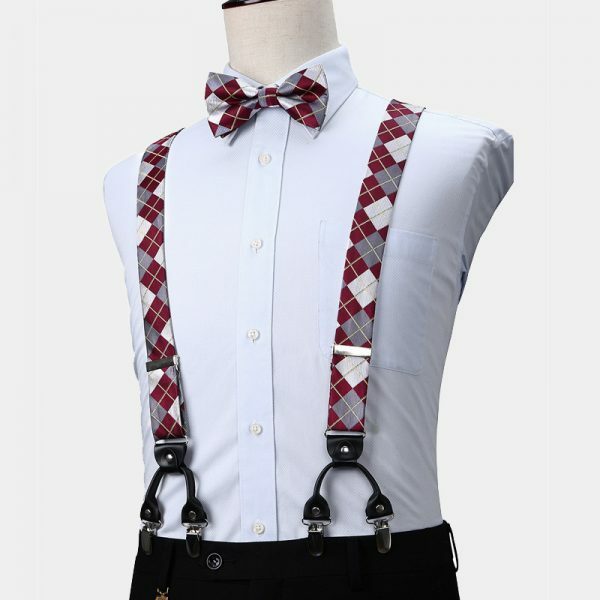 Let this gentleman’s burgundy plaid bow tie and suspender set upgrade your accessory collection to a whole new level. 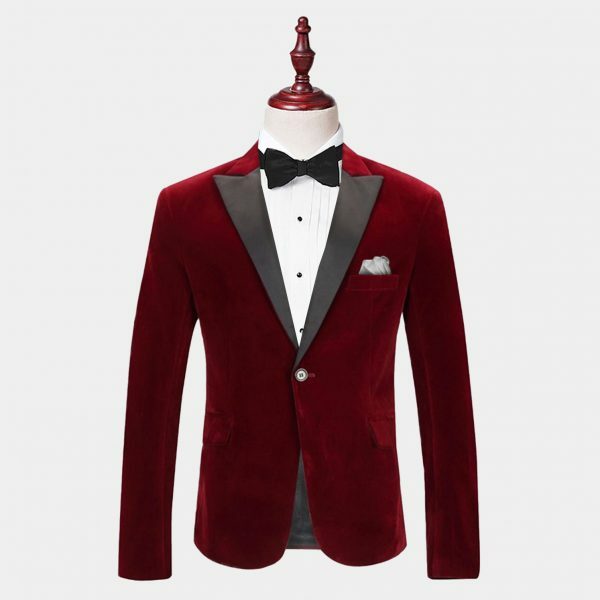 All men want to look their best as well as spend their money wisely. 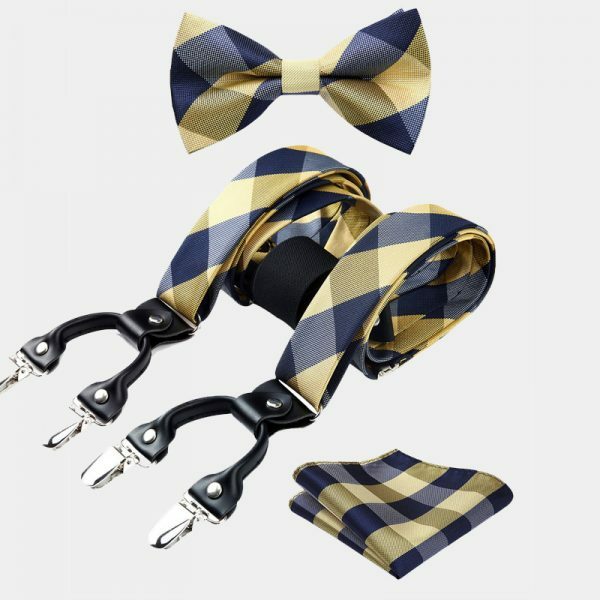 This sharp and stylish set allows you to do both at the same time. 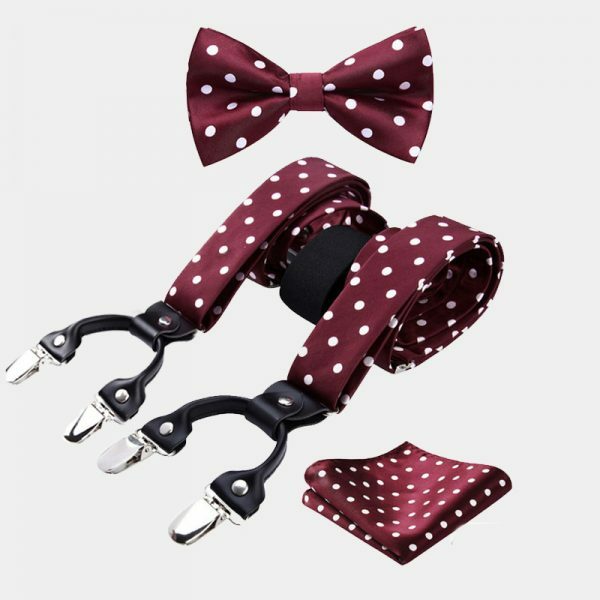 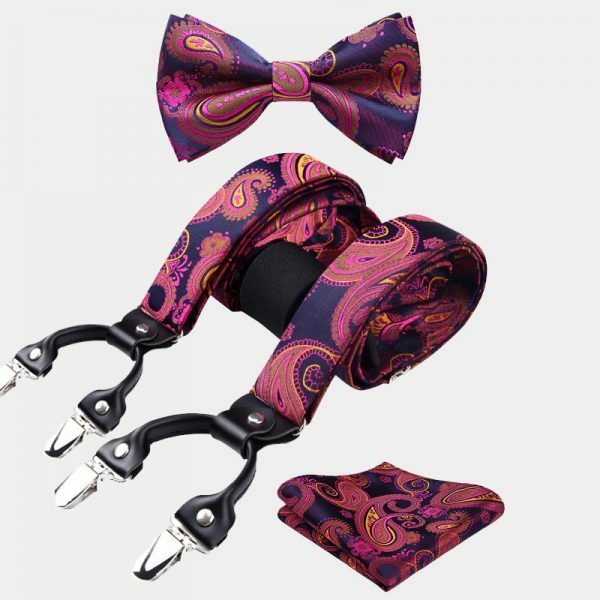 Setting yourself apart from the rest while looking your very best is easy to do with this burgundy bow tie and suspenders set. 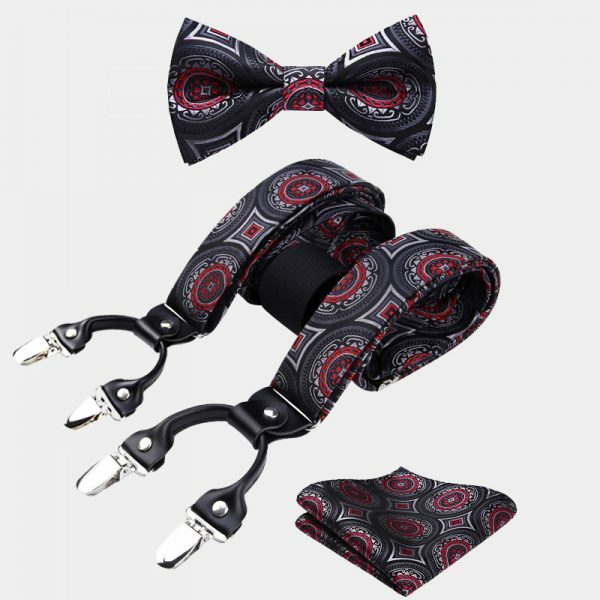 Pairing it with your formal wear is a smart choice for a fresh take on accessories for your wedding day or next special occasion. 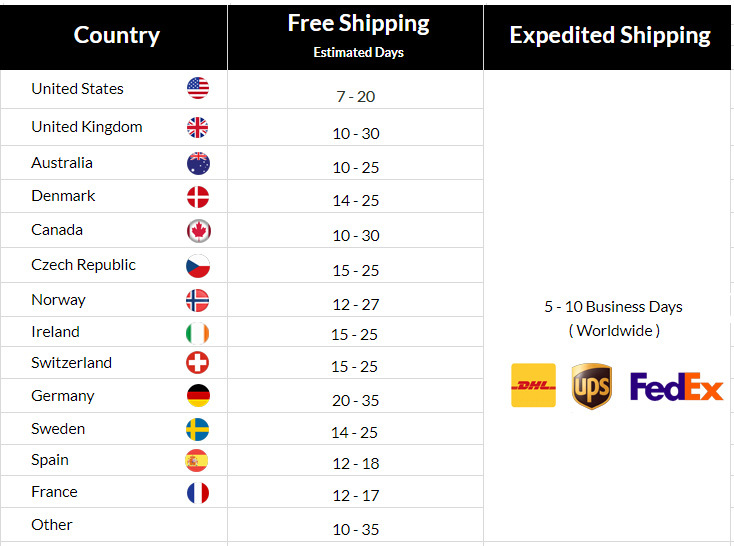 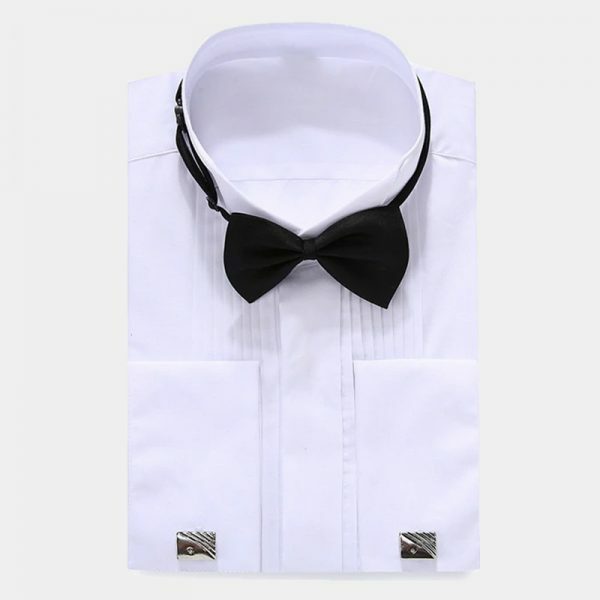 In addition, it also looks great with your business suits as well as your casual attire. 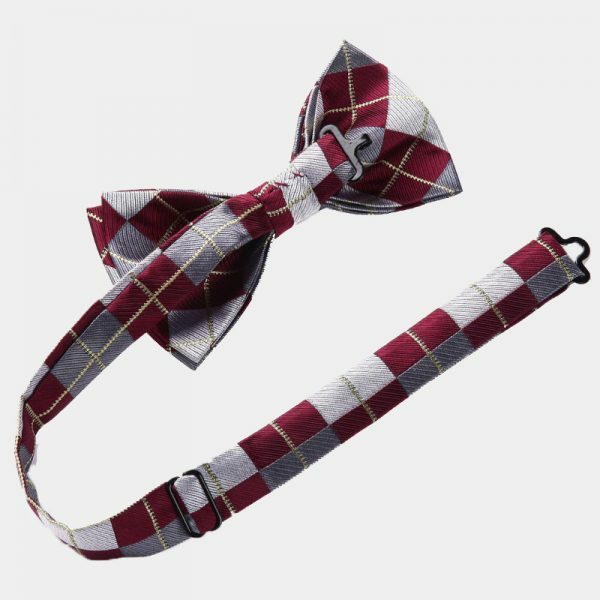 This deep burgundy plaid bow tie and suspenders set includes a beautiful matching pocket square, suspenders, and pre-tied bow tie. 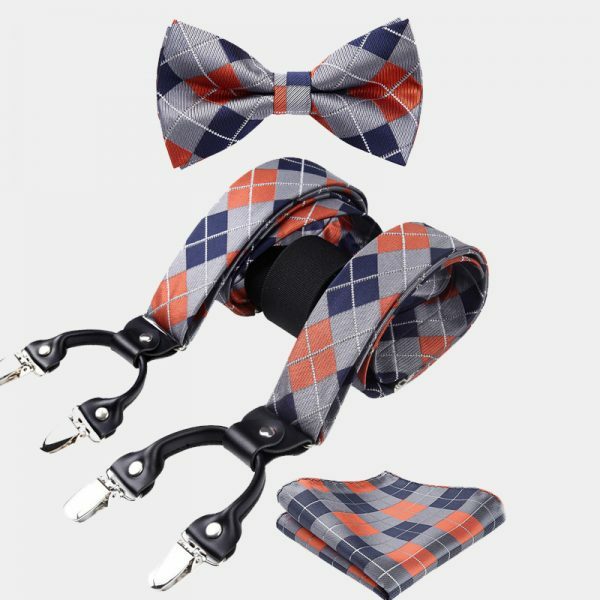 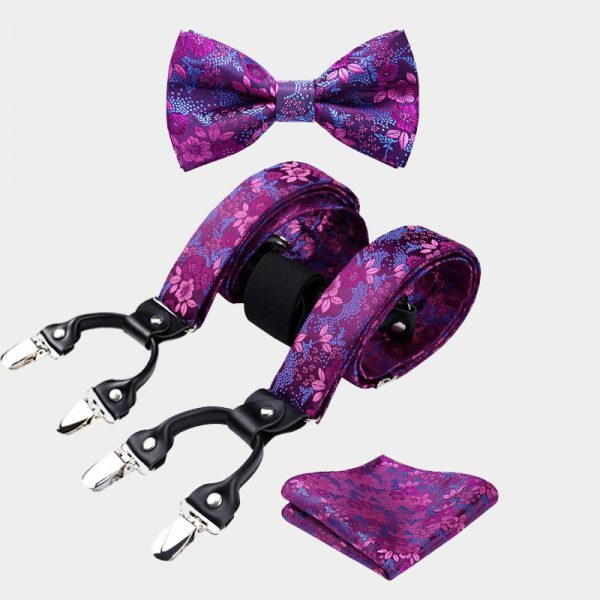 The suspenders and bow tie are adjustable, giving you a perfect fit each and every time you wear them. 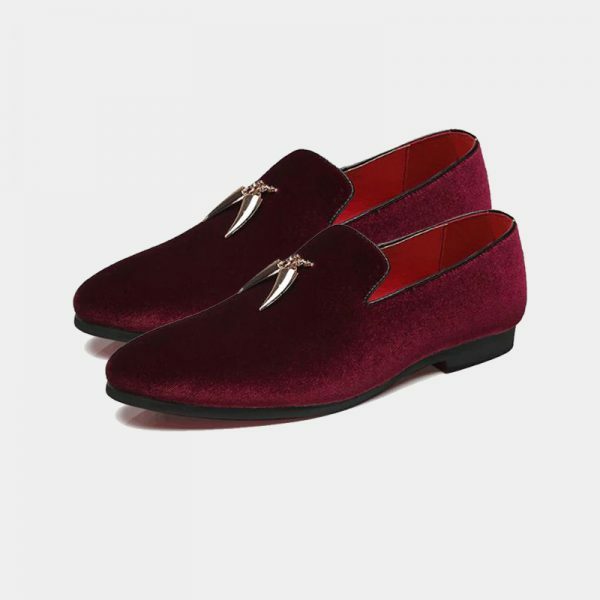 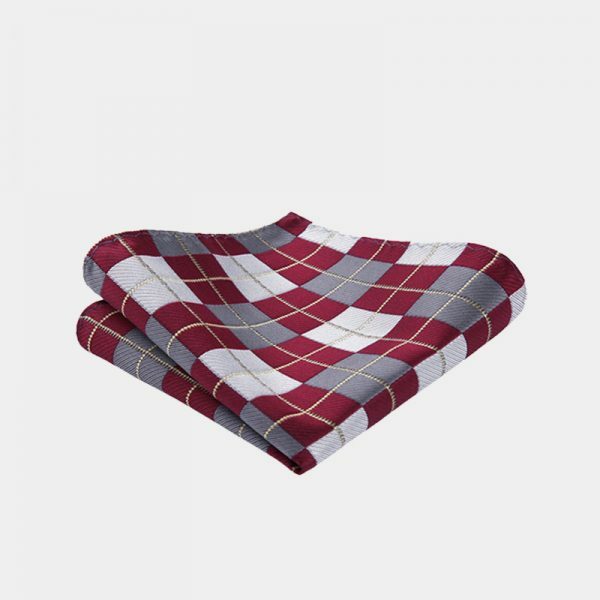 These exceptional no-fuss accessories are handmade with high-quality materials that resist stains. 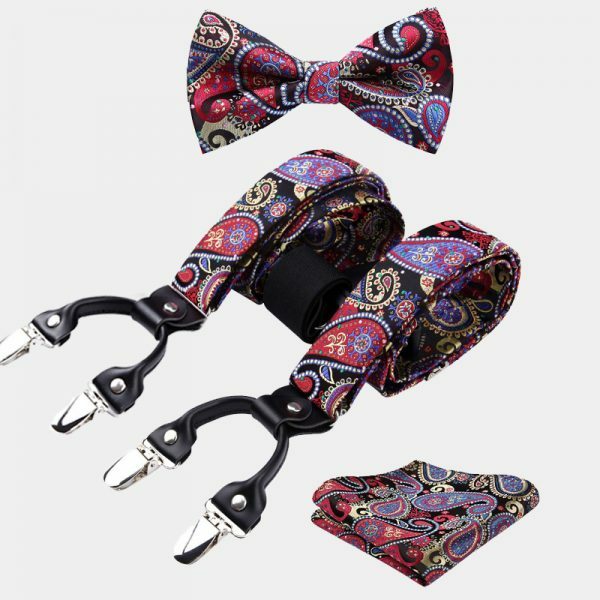 In addition, the superb suspenders have six metal non-slip grip clips keeping your pants right where you want them. 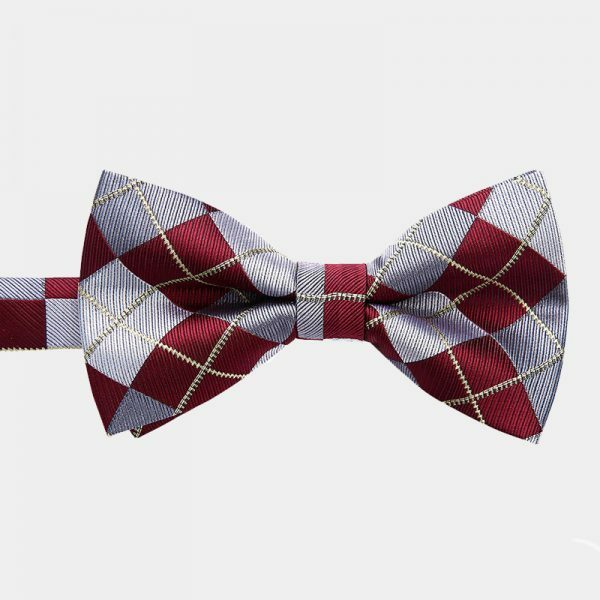 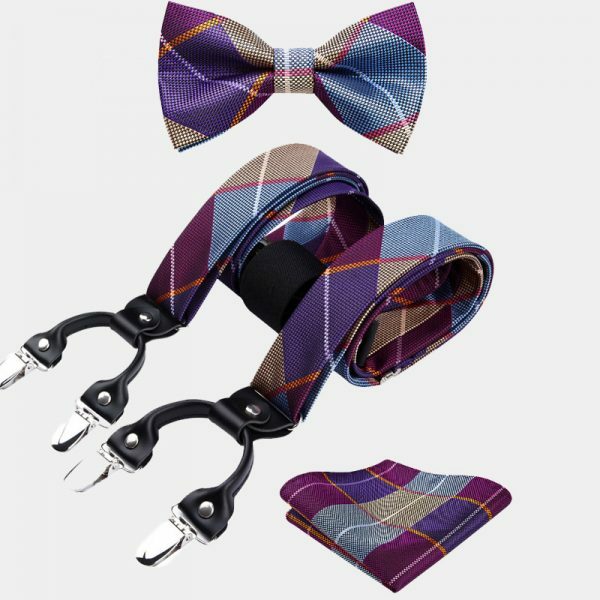 Purchase this gentleman’s burgundy plaid bow tie and suspenders set and upgrade your accessories without breaking the bank.